I am in St. Louis this week and I will be heading over to the CRMUG Chapter meeting on the morning of Oct 4th. Come on over and knowledge share on the greatest platform on earth! 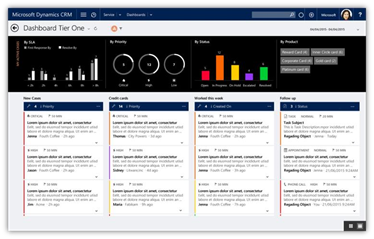 Microsoft Dynamics 365 for Customer Engagement. One place to look for information regarding leveraging the Microsoft Dynamics 365 PLATFORM is in the Microsoft Dynamics Software Developer Toolkit (SDK). The Microsoft development teams have included a wealth of samples, knowledge and tips inside the SDK. 1) Configuration : Walking through a series of questions found in the settings section (Business, Admin, Data, Services, etc.) of the platform, you can change how the system reacts based on your answers. 2) Customization : Using a business interface add new tables, fields, views, charts, dashboards and data entry forms. 3) Extension : Writing additional code to extend the powerful Dynamics 365 Platform to meet even more business needs. So what are some of the resources available to you and things to consider when it comes to Extending the Microsoft Dynamics 365 platform. Dynamics CRM is not just C or X Relationship Management (CRM or xRM) anymore and as such the expansion to Microsoft Dynamics 365! Why is learning so scary to so many? There is so much that I don't know and yet, what I do know I am willing to share. When I share I learn, I like to learn, others learn, I like to teach, we all learn. I like it when we all learn. Given that so much new has been released, sometimes it is easy to miss some of the powerful new features. Take for instance USING WORD TEMPLATES in CRM. Sure, letters are nice, but have you ever considered the power of all the other data you can pull into a WORD template? Now that Adult Coloring Books have exploded on the marketplace perhaps it is time for you move from the joys of PowerPoint (Admit it, you love it because it is easy creativity) to the joys and the incredible POWER of VISIO or SWAY (but I will save SWAY for another post)! Do you have processes? Do you want to get these processes to be adopted and consistent across all departments? Why not drop them into a SIMPLE VISUAL DIAGRAM and post them around the office? Or you can really get into it and use them to "visualize the future state of transformative initiatives" or to "stay on top of operational insights". It is true that a picture can communicate 1000 words and in this noisy world, using a picture to communicate can make a huge difference (even for the most sophisticated). To learn more about the new features of Microsoft Visio you can read up about it on the Microsoft office team's blog. I even enjoy older posts like this one which is already a year old! There is so much depth to Microsoft Dynamics CRM Security that it is amazing that they can add more and yet, more has been added. A great post is available on all the new options which you can reach using the link above. It is a rainy day here in the Northeast so what better way to spend an evening. Yes, Enhancing the Dynamics CRM Charts! Take a look at this little post on a few quick XML edits that you can do to leverage even more visualization.